With only 2 months to go until the start of Lion Camp’s 2019 safari season, our managers Vicky and Wayne are back in camp and busy getting everything ready for our reopening on 20 May. It’s an incredible time to be at Lion Camp. 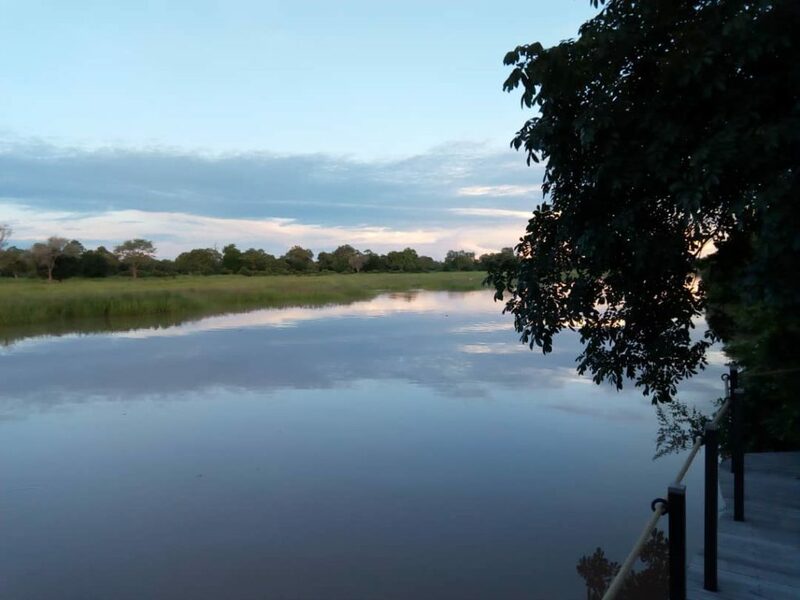 The wafwa (oxbow lagoon) in front of camp is full of water making it possible to climb into a boat moored to the main area deck and travel out to the Luangwa River. The team aren’t the only ones in camp this time of year – we’ve had lions sleeping in the workshop, the vehicle park and on the main entrance steps! One of our local leopards was spotted last week in the staff dining area and outside the kitchen and as you can imagine, there are also plenty of hippos in the lagoon in front of camp. Vicky was absolutely thrilled to see a brand new baby hippo the size of a warthog in the lagoon a couple of days ago. 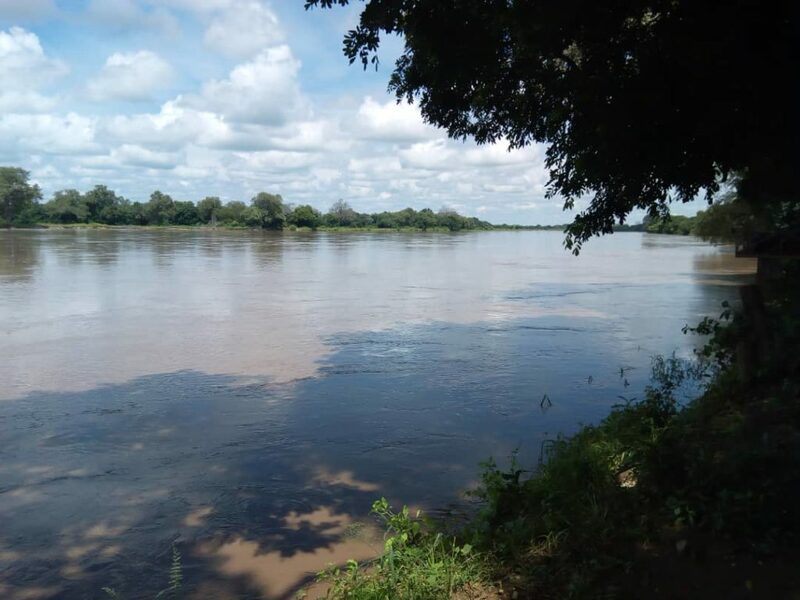 This year the Luangwa River burst its banks at many points and filled its oxbow lagoons. Thanks to its treehouse design Lion Camp stayed dry but you might recognise this sausage tree as one of our favourite sundowner spots. Don’t worry, by the time the season starts it will be on dry ground once again. Some of the new and exciting projects that are going on in camp at the moment include a complete renovation of the Lion Camp rondovels. These rondovels were part of the original Lion Camp many years ago and are being renovated to house a small gym, photographic studio, shop area and a small nature library. We are also removing the step between the sleeping and lounge area in the luxury suites so the suites will be on one level throughout. We are very excited to announce that in 2018 Lion Camp became one of the first carbon neutral safari camps in South Luangwa through purchasing verified carbon offsets from Biocarbon Partners. 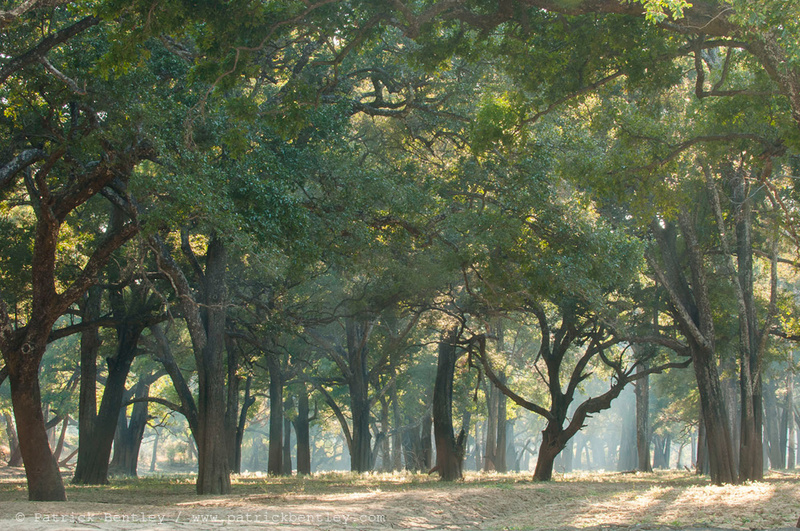 In line with the our sustainability ethos, this initiative not only neutralises the carbon footprint of our operations but supports the protection of the forests around the national park, benefiting local communities as well as the wildlife inhabiting these areas. 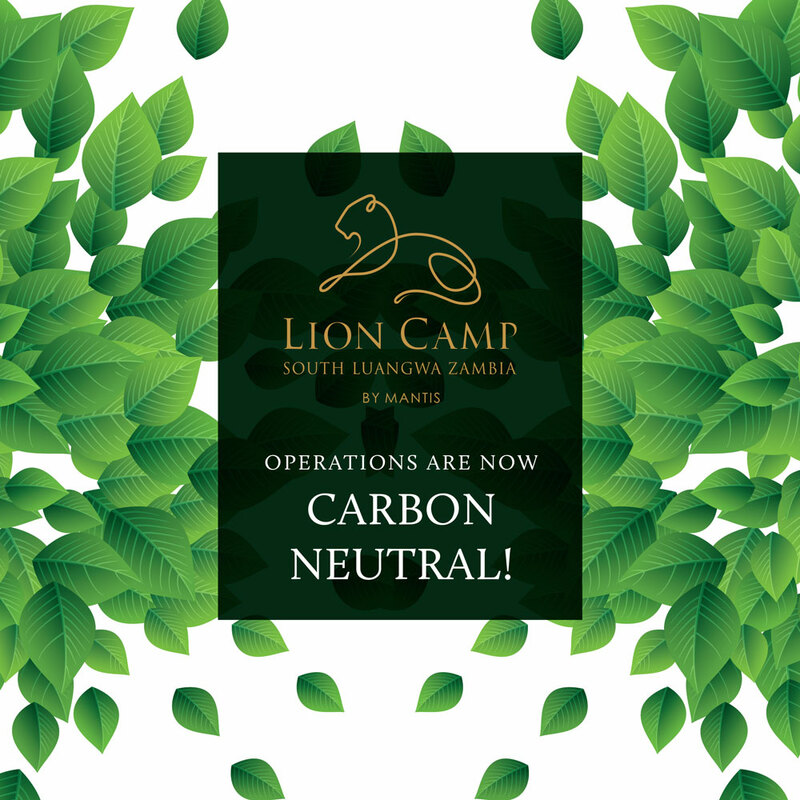 Going carbon neutral is the latest step in Lion Camp’s efforts to reduce its ecological footprint and ensure minimal impact on the environment. 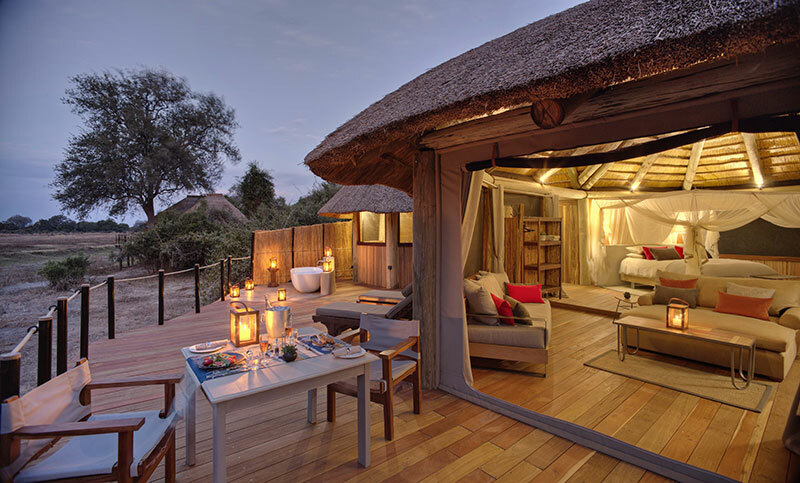 This year Lion Camp is offering a bush dinner to all guests staying with us 3 nights or more. We’ll be serving the same delicious cuisine paired with fine South African wines but in a bush location under the stars. Follow us on Instagram or Facebook for Bush Dinner photos when the season starts. Our 2020 rates have been released and we are pleased to announce that there is no overall increase from 2019. In an effort to simplify our rates we have moved to 2 seasons, a peak season in August & September and a shoulder season in May, June, July and October. We are also excited to let you know that our Stay 4 Pay 3 special is being extended to 2020 bookings confirmed before 31 December 2019. Honeymoon couples can now enjoy a free upgrade to our stunning Sunset Suite. This suite was designed with honeymoon couples in mind. It is the most secluded of our suites, set in a prime location at the end of the walkway. It has a wrap around deck on 2 sides with 180 degree views of the plain and an outside bath.